AdAPP – Adobe Hack Tool is a multifunctional convenience & file management tool to make Adobe Premiere users life easier. AdAPP is a multifunctional convenience & file management tool to make Adobe Premiere users life easier. Premiere Offline Project Clip searcher, Mass Project Clip Searcher, Project Clip List Exporter and the Premiere Project XML unpacker, all without to even open Adobe Premiere! WARNING: This is a tool for NERDS made by a nerd! 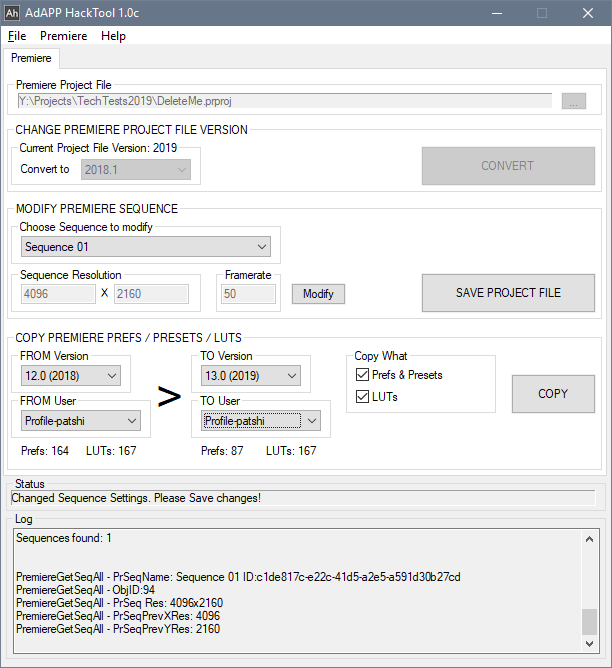 This tool also includes functionality of the popular PrProBCC Project Converter Tool. See details, functionality & help here. AdAPP can be used with Adobe Premiere version starting from version CS6 up to version CC 2019.